The British Army is circling the stronghold of the King of Abyssinia. Its mission is to rescue the British Envoy, held prisoner. Watching with terror and awe is the king's young son, Alamayu. He knows that his father is as brave as a lion, but the fighting is cruel and efficient. By the time it is over, Alamayu is left without parents, throne or friends. In a misguided attempt to care for him, the British take Alamayu to England. There he is befriended by the Queen herself and enrolled at Rugby College to become a 'proper' English gentleman. What the English see as an honour is, to this lonely Ethiopian prince, terrifying and brutal. 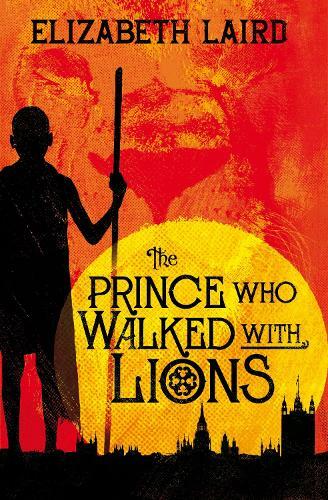 The Prince Who Walked With Lions is Alamayu's story, seen through his eyes: the battle, the journey to England and the trauma of an English public school as he tries to come to terms with the hand that fate has dealt him, skillfully told by Elizabeth Laird.